Vaping – A Guide For Beginners. 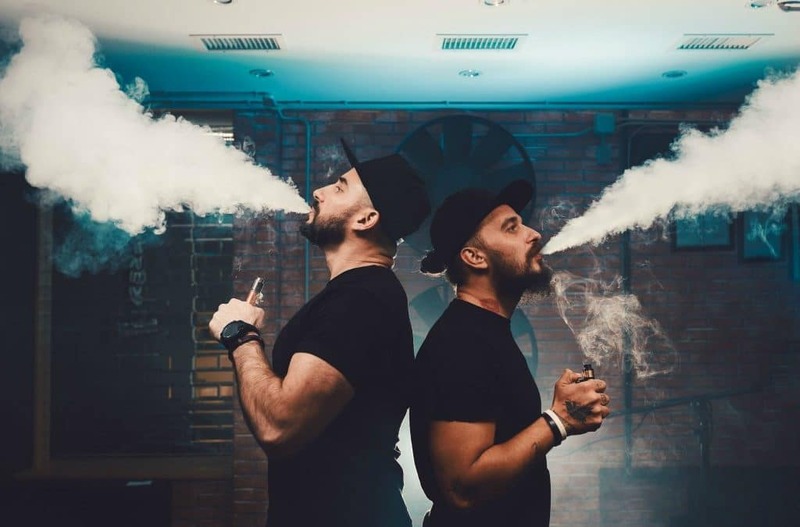 If you are new to the world of vaping there are very important facts to know. Most people that have begun vaping have done so because of addiction to cigarettes. By switching to vaping people have found its the easiest way of quitting smoking. Cigarettes contain some 4000 harmful chemicals. Tar content has been proven to be one of the most harmful of all. But vaping an electronic cigarette’s e-Liquid removes this danger. High-quality e-Liquids only contain Propylene Glycol, Vegetable Glycerin, and food grade flavorings. Also, you can choose nicotine levels from 0% – 12%. That being said, I would advise people who have never used tobacco, a 0% nicotine e-Liquid. Nicotine, as most people know, is highly addictive. For those that use vaping as a way of quitting nicotine, getting to 0% is the goal. So by gradually reducing the percentage of nicotine, this can be achieved. Choosing a quality electronic cigarette is of utmost importance for your vaping experience. Disposable or inferior brands will in most cases produce inferior performance. Brands that I suggest for newbies are the Kanger SUBVOD starter kit, This unit has a top filling pyrex glass ( 3.2ml ) tank, plus 1 spare. A 1300maH battery provides excellent power. Also power it up with the micro USB cable. This is available for an affordable at $48.00 CDN. The eStick is also perfect for new vapers or veterans. Slim and compact but yet powerful with a 650 MAH battery and dual coil atomizer. The cartridges are non dripping and easy to fill. Also eStick’s starter kit is affordable at $69.00 CDN. This includes 5 Atomizers ( cartridges ), 2 – 650MAH batteries, 1 – USB charger and a handy carrying case. I find both of these to be very efficient and reliable. Now let’s move on to choosing quality e-Liquids. Your electronic cigarette is only as good as what you are putting in it! There are countless e-liquid companies to pick from. What you want to look for a Ho2 thinned %100 vegetable glycerin. This is blended into the exact amounts of 1% – 5%. These are just some reasons I vape Silk Cloud and Naturals organic e-Liquids. They provide these high standards that ensure a fine vape that makes the flavours very authentic, also producing big clouds. The wonderful aspect of vaping is the multitude of flavors. Whatever your taste might be. There are custards, fruits, sour fruits, pastries as well as tobacco flavours. Vaping – A Guide For Beginners – THC? But now there is also something new to the market. Vaping THC in your electronic cigarette. This takes vaping to a higher level if you are so inclined. For those wishing to get high, this is an excellent method. Moreover, this is a much safer way of ingesting THC than inhaling cannabis smoke. Cannabis smoke contains 4 times the amount of harmful tar than cigarettes. Therefore if you are vaping now but continue to smoke cannabis its time to switch. Vaping is much safer and easier than smoking. Companies such an Amsterdam THC from Canada offers a potent 75% THC e-Liquid. Amsterdam also uses the Supercritical CO2 extraction concentrate. This is pure, potent and pleasing. Not to mention this product is smooth and tasty. The future is here for those who are so inclined to partake of the herb. Now instead of taking the time to work rolling a joint, you can vape. Much more discreet and odourless .The electronic cigarette has changed lives for the better. A much better alternative than smoking. If you are a smoker, this is definitely the time to switch. You will not be sorry did. You will be happy you did. People you know will be happy you did. Vaping has changed my life for the better. Make the change!